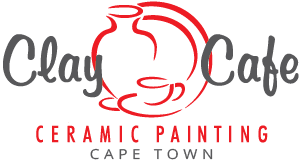 We are a ceramic painting venue: we do require at least half the overall booking to participate in the painting. Especially during school holidays, weekends & public holidays. Open 9-5pm daily. All bookings are set at 3 hours. 10% service fee added to tables 8 or more. ** exceptions are on the booking widget. If your date is marked ‘X’ and unavailable that means we are full online and only leave limited walk in space available on the day. Book your table online now by clicking on the calendar. Please note we no longer accept telephone bookings. Please download the party booking form and terms and conditions by clicking on the download button below. You can easily update your information should anything change on your side. Please write any information that could make your time here more enjoyable in the ‘request’ section on the booking widget. If you would like to arrange a table for more than 16 people please email us with all the relevant information. We are open Everyday, 9am-5pm. **No outside food is allowed The Clay café reserves the right to seat tables where is most convenient for overall flow of café. **All items are then ready for collection 3 weeks after they have been painted. Please collect within 3 months or your items will be given to a charity. A catering list, booking form and FAQ page will be sent to your or can be downloaded above. The pre-ordering of catering will need to be done via email. We highly suggest catering for bookings above 16 people. We only require a fixed R500 deposit should you be ordering catering. Bokkemanskloof Estate, Hout Bay, Cape Town.